I always look around on-line to find some inspiration. I had several cakes that I found and loved! This cake was a combination of a few of them. It turned out so cute, I really hated to cut and serve it! So cute! And Happy Birthday Kylie! I always like strawberry Shortcake! I had the doll that if you scratched her dress, it smelled like Strawberries. :) Oh the good 'Ol days! I am glad to see she is making a Come Back. This cake is sooooo cute! I remember I had a strawberry shortcake cake as a kid and this brings back some memories! Love the cake. You are so talented! That cake is aMAYzing! My baby is turning 2 one week from today. I tear u every time I stop and let myself think about it. Oh my goodness...AMAZING job on the cake! I would have loved that as a kid; I was totally into Strawberry Shortcake! I'm so impressed! Um, that cake is amazing! I bet that she's still talking about that cake! Oh man. I better not show this to my daughter. In fact, I better stop looking myself. You are tempting me to switch from a ballerina party to a Strawberry Shortcake party for my oldest's birthday. AMAZING job!!! Thanks for stopping by my blog. What a great cake! :) You did an awesome job. I like to make my kid's birthday cakes too, but BOY is it a lot of work. I came across your blog through Pinterest, and wow, you make some awesome cakes! 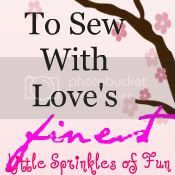 I am just getting started dabbling in cake making and I was wondering if you could answer just a couple of questions. 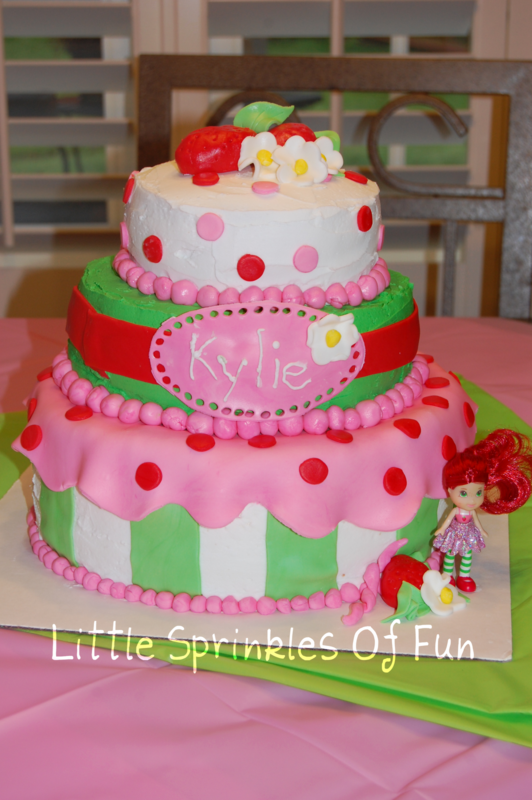 First, on a cake like this Strawberry Shortcake one, is that buttercream and fondant? Because I tried using buttercream and fondant together and the fondant just kept sliding down on the buttercream....it was droopy and pitiful. So any pointers you could give would be greatly appreciated. Thanks!